INSTALLATION IS A SNAP, NO SPECIAL TOOLS REQUIRED: Installation is easy and can be done by anyone. No need to hire an electrician or trench for a utility connection, It has a unique gooseneck that make it easy to adjust and keep your flag well lit, you won't experience of running electrical wires for installation, Or worry to that you might forget to turn the switch off in the morning and have an issue on electric bill as well. You can simply install the light and forget about it. 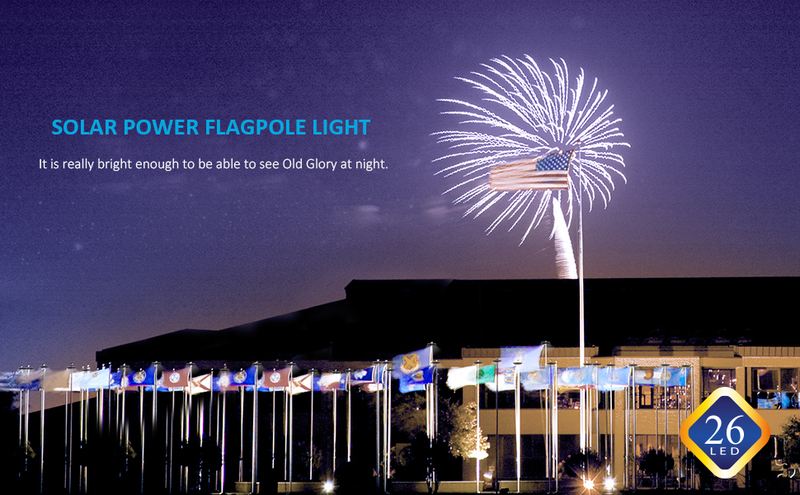 Honor the Old Glory and Display your Pride! 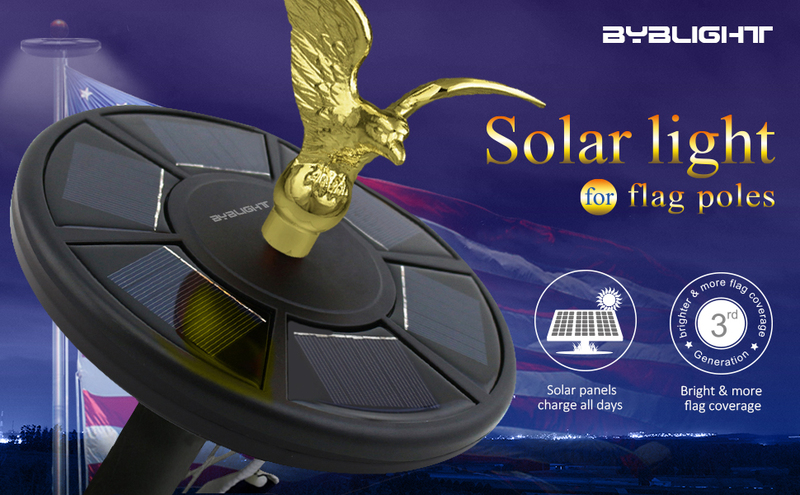 The light source is super bright LED which can work up to 8 hours at night after a full sunny day of charging. and it will never need to be replaced and will remain cool bright at all times, providing safe lighting throughout the years. Use with most 15-25 inches flag poles with a 0.5 inches 1/2 thick rod at the top. IP65 WATER RESISTANT. Powered by the sun and patriotism! they are a quick, safe, easy and affordable system to highlight your flags. Use 15 - 25 ft flag poles with a 1/2"-thick rod at top. After the day charge, Push Switch to"On" Position. Unscrew the ornament from the top of your flagpole. In such cases, Solar Light may not stay illuminated as long.